Do I look happy here? 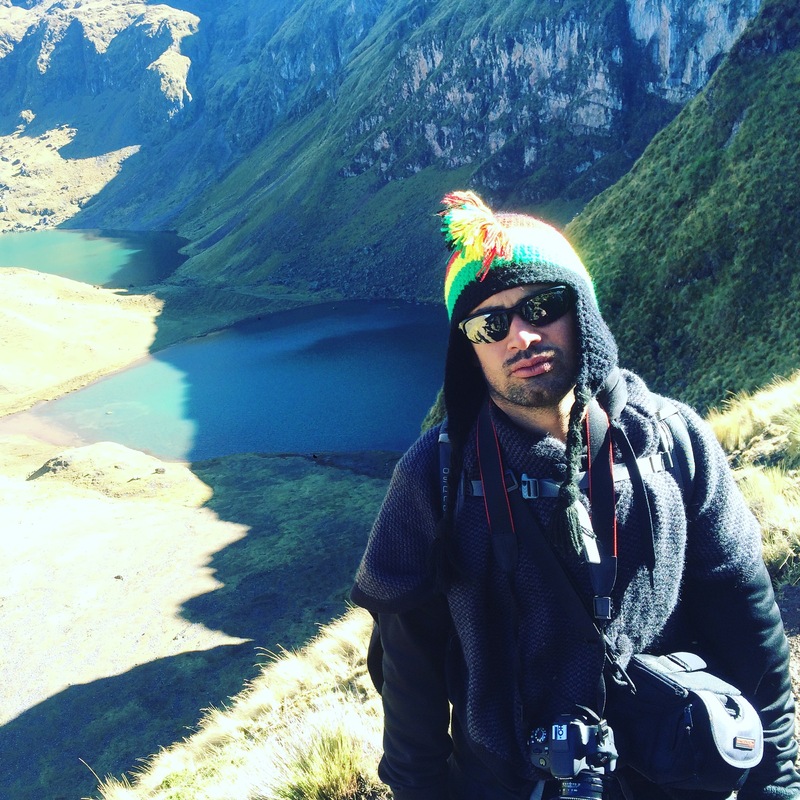 This is me in Peru surrounded by beauty but plagued by worry and self doubt. We can travel far but can never escape ourselves. How to best live life is the only question that matters. Ironically, most of us think we know the answer when we’re young. As we age however, the reality of life’s circumstances has a way of forcing us to compromise. Work and family demands drain our energy and enthusiasm and leave little time left over to contemplate the question how best to live life, let alone answer it. Gradually, the momentum of our daily routine becomes us and our jobs become our lives. We’re thankful to have a job but just cant help that constant nagging sense of dullness. The monotony of our daily routine leaves us unfulfilled. When we are tapped in a cycle of trading time for money to support our existence, this is, in effect, wage slavery. If your are disturbed by the use of the word slavery, you ought to be. It is a disturbing revelation to learn that we are not truly free. It certainly was for me. Most people unknowingly fall into this category. For a long time I did and I was miserable. manage to balance life’s demands with meaningful work and fulfilling lives. They’re not just sucesfull in their fields, they’re living well, impacting people positively and moving humanity forward. And it looks like they’re having a great time while doing it. The secret behind their happiness is no secret at all, they are reaching their full human potential. 5 years ago I made a decision to take control of my life and career by studying and emulating the behaviors of this group of high achievers. In the following series of posts I will detail the thought process, habits and tools I used to transform my life and career from a mid level employee at a dead end job who existed in a bubble of mediocrity, to doubling my income as an entrepreneur and writer, while moving abroad and living the life I used to day dream about. It is my hope that by demystifying the process of self actualization it will make it easier for some of you to do the same. The ancient Greek work arête, meant to realize ones full human potential. The ancient Greeks (and Romans) believed that true joy (not to be confused with pleasure) came from realizing ones potential. Pleasures, they (correctly) observed, are short lived and fleeting but the joy derived from the self worth one gets from living a life full of meaning is an endless bounty from an eternal well. “This was the most common regret of all. When people realize that their life is almost over and look back clearly on it, it is easy to see how many dreams have gone unfulfilled. Most people had not honored even a half of their dreams and had to die knowing that it was due to choices they had made, or not made. It stands to reason then that the most common tragedy is not dying young, but dying unfulfilled, having lived a life devoid of meaning. We are all biologically hardwired to want to feel useful and necessary. But discovering this utility (meaning) can be a scary and difficult thing. It is a fact that we are all adrift on a sea of uncertainty. This can be a terrifying realization or a liberating epiphany. Yet it remains a central tenant of human existence. The future is uncertain and most of us are not yet where we want to be, but it is our job to shepherd the ship of our life to safe harbor. In any seaward journey there are two (controllable) factors determining the outcome of the trip, the captain and the ship. We are the captain and the ship is the resources (time, money, skills, knowledge and credibility) we have at our disposal right now. Not at some obscure point in the future but right now. We all wish we had a more seaworthy ship and in the coming steps (and posts) we will learn how to build it. But first we must learn to sail and in doing so we will come to understand the demands that our ship needs to meet and thus be able to tailor it specifically for our journey. One would not set sail on a transoceanic passage without first testing their skills on a shorter trip. Similarly, it would not be wise to leave our jobs before first getting paid to do the gig we hope to make our full time job. Whatever that thing is, whether it is writing, coding, designing, marketing etc. start small and think in executable steps. We are incredibly fortunate to live in an interconnected world with a global job market. For the first time in human history anyone, living anywhere can hire someone to do work for them, free of geographical (and other) limitations. Take advantage of this and create a profile on a site (like Upwork) where you can find freelance work and start applying for small gigs you can do on the side. The point here is to establish credibility and build a client list that will lead to referrals in the future. choosing. If your skills are not yet up to par or in high enough demand that is okay. At least you know where you stand and what needs to be done to get where you want to be. In order for any of this happen you must first dedicate the time to bring it to fruition. Lack of time (or perception there of) is the most common obstacle that prevents people people from even starting on the path to self actualization. Despite being an all to common objection, few of us actually lack the free time to work for our dreams. Sure, we have demands outside of work that occupy our time but how much of our free time do we spend frivolously? How much of our it is consumed by infotainment sites, watching Netflix, surfing Facebook and the plethora of other instant gratification distractions that plaque modern existence? Getting things done is as simple as scheduling our time. 2 hours of focused work, 5 days a week is 10 hours of work a week and 40 hours a month. By simply dedicating two hours a day, every work day, we have just added an additional week of work for every month. Now extrapolate forward and imagine how much further along the path we will be in a year, 2 years and 5. Exciting isn’t it? Suddenly there is a light at the end of the tunnel. Our future possibilities invigorate us and gives meaning to the daily grind. However mundane, we have the satisfaction of knowing that each day we are one step further along our path. This only works however if this time is free of distractions and full of focused work. This means no checking emails, internet surfing, texting or phone calls during this period. For this reason it is best to schedule these two hours early in the morning or at the end of the day. These are the periods in which we are least disturbed. I prefer the morning because I feel sharpest. In the evenings I tend to have some cognitive fatigue from the work day and can feel the quality of my writing decline. Other people prefer the evenings as they feel most creative and alive when the sun goes down. Whichever you prefer is fine as long as you show up, free of distractions and do your work. Now that we know what our journey requires it is time to take concrete actions to make sure we meet those demands. We should start by giving ourselves a realistic time line for leaving our (current) jobs. To do this we first need to figure out how much money we need to save to cover the disparity of our expenses and our income as a freelancer for one year. (Since we are not working full-time yet, go ahead and multiply current monthly income as a freelancer by 3, since we will be able to take on 30 more hours of work a week once we leave our jobs.) If our salary as a (full time) freelancer isn’t enough to cover our current expenses we need to do one (or all) of the following. By calculating how much time we need to save enough money to cover the imbalance between our expenses and our income as a freelancer for a period of one year, we’ve given ourselves a timeline. Once we’ve selected a firm date, the hard part starts, following through with our plans. Later in the book Pirsig praises his favorite piece of technical writing for taking this into account. Unfortunately modern office work makes us really bad at acquiring and maintaining this peace of mind. Skills like communication prioritization, time management and deep focus are antithetical to the fast paced, shallow work environments in which most of us exist. Perhaps most distressing is how years of working in these environments has conditioned our minds to respond to “stressful” stimulus. Most of us have low levels of patience, persistence and objectivity. Put simply (and perhaps crudely) we lack the mental fortitude to shepherd our ship to safe harbor. Before setting sail then the mind of the captain must be sharpened for the perilous journey ahead. In my next post we will examine the systems of thoughts (both ancient and modern), routines, behaviors and perceptive selection that we can use to tame the mind and find the peace we need and crave. I was CMO of a tech startup I co-founded. We manufactured the first waterproof consumer drone on the market. Now I write about, analysis and help guide companies through the ICO process. I'm fascinated by the increasing impact tech is having on all of our lives and the philosophical implications of that impact. But how to live well, how to find meaning in the here and now, is the greatest and most imperative question and the central tenant of my writing and seeking. I hope to live deeply, learn much and share what I can with those who'd like to listen.